We are specialists at delivering high-end communications solutions from world-leading manufacturers Avaya, Mitel and Gamma. We take our time to fully understand your business objectives and existing infrastructure before making our recommendations for a communications solution that best suits your needs and helps future-proof your business. Our voice solutions can help you make the most of technologies such as VoIP, Unified Communications, and Business Mobility. Helps you embrace business Mobility and Unified Communications. Uses a server rather than a traditional PBX and is aimed at any mid-sized business looking to make the most of Unified Communications and Enterprise Mobility. Also known as Cloud Numbering or Non-Geographic Numbering. Cost-effective line rental and great value calls, tailored to your business needs. 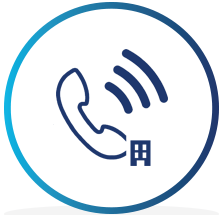 The UK’s industry-leading Hosted Telephony solution, making your business communications easier to manage, administrate and budget for. Allows you to meet face-to-face, no matter where you are, whilst also enabling you to share and annotate documents, spreadsheets, and other online content. Designed to complement the Avaya telephone systems we offer. The broad set of features means that there is a solution for all types of businesses and staff. A scalable and cost-effective Unified Communications platform that comes in a variety of editions, making it suitable for businesses of all sizes. An enterprise level business telephone system, aimed at delivering a fully enabled Unified Communications solution and can also include contact centre and cloud capabilities. Complements our Mitel telephone systems. They feature a broad range of capabilities, making them suitable for all types of staff and organisations. A specialist type of business broadband, designed to deliver guaranteed best quality voice calls.